People try to change their look by changing the colour of their hair, using cosmetics, wearing jewellery or even having plastic surgery done. Why do you think people do it? Do you think changing your look is a good thing? This news item appeared a couple of days ago on television that addresses this question and the dangers associated with cosmetic surgery. Here are the opinions presented by Dr Greechart on why he is against it. Can you identify the missing information from the video? Clearly, it’s not easy to change an industry that _____ £3 billion a year, so the onus is on the customer to _____ _____. The people who work in this industry know _____ what the risks are, and many new customers remain in the _____. What’s absolutely clear is that people coming to this city for treatment must exercise _____ care because their lives may _____ on it. You can use some of the ideas presented in the video or the notes above to argue your points in your essay or interview. 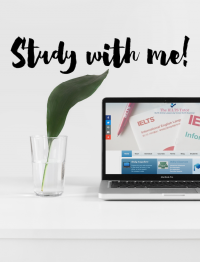 I hope you will find this useful for your IELTS self-study.